We offer Ultra High Pressure Gun. 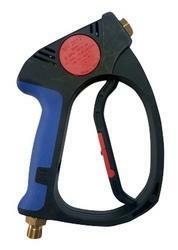 High Pressure Water Gun available up to 600 BAR (8000 PSI). Lynx Pressure System are Suppliers of Industrial High Pressure Trigger Gun in Ahmedabad, Gujarat, India. - Weight - 5.5 kg. Pistola Astra has a 3/8" BSP inlet connection and a ¼" NPT outlet connection. With an option for a 900mm lance and spray/ jet nozzles the gun is one of the best in the market. 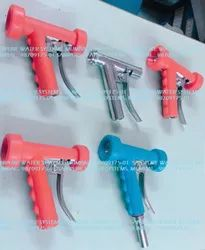 Heavy Duty High pressure Agriculture Pesticide Sprayer Spray Gun. With our expertise and trustworthiness, we are engaged in offering an optimum quality range of High Pressure Dump Hand Gun.